No Time to Read? Watch Videos Instead! Most entrepreneurs read voraciously. Warren Buffett says he spends about 70% of his time reading. Tim Ferriss says he does not know any entrepreneur that does not read. On the other extreme, Maria Popova, reveals that she reads a whopping 15 books a week, saves between 10-100 snippets of text and quotes and writes three long blog posts a day! In the Zapier blog, there is a great article by Jeremey DuVall about reading, indexing and remembering and how Ryan Holiday incorporates quotes into his writing. But who has time to read? 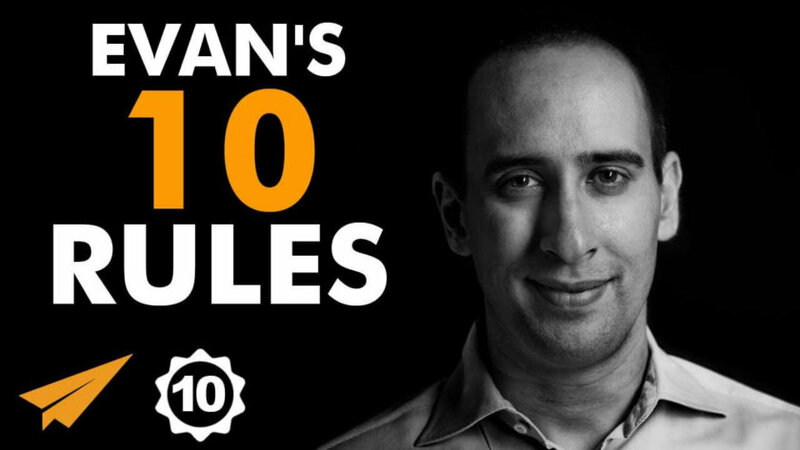 Lucky for me, I discovered a brilliant Youtube Series Evan Carmichael’s Top 10 Rules for Success where he profiles people like Tim Ferriss, Howard Schultz (Starbucks), Steve Jobs (Apple), Jack Ma, Will Smith… the list is too long. Each video is 4-5 minutes long, and Evan distills down to 10 succinct bullet points everything you need to know about that entrepreneur. Writing and speaking are not our strengths. It has to be practised. Swipe, reflect, write. When a shareholder disagreed on Starbuck’s support of gay marriage, arguing that it would hurt its share price, Howard Schultz replied that he had delivered 38% shareholder returns. As the leader of his people, he would embrace diversity. For those that are not happy — “short Starbuck’s stocks and buy something else”. Steve Jobs spoke about how it was only after he dropped out of college and took a typography class (that has no practical value) that made Apple design so successful. An appreciation of beauty and elegance and form and factor must be taught because that cannot be mastered with technology. Typography should be a compulsory component of education, as must graphic design. Evan says all top entrepreneurs he knows keeps a list of their favourite quotes for inspiration / guidance. Whenever I see a good collection of quotes published by Inc or by Fortune, I save to G/sheet & Evernote. My 2015 modus operandi was to push mine out to Git for practice. Pro Tip: Watch them at 1.5X or 2X speed. But it’s the perfect thing to do when you’re learning to code – the ONLY time I can’t listen to a podcast or a video is when I am writing. Almost all other times, I can be on Canva or working one of my websites and listening to these videos.